The Coolest Gift For The Sports Freak In Your Life! 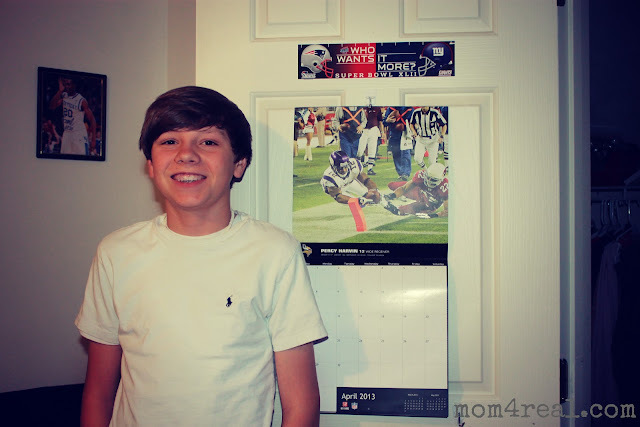 Do you have a sports freak in your family? We don’t have just one…all four of us are all in! We love football, basketball, baseball, and golf…all depending on the time of the year. I would definitely say that football is our favorite. 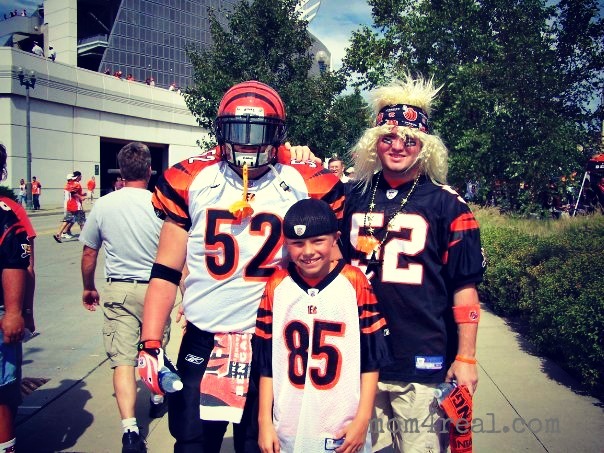 We are Cincinnati Bengals fans, and always sport our orange and black proudly on Sundays! We live about an hour and fifteen minutes South of Cincinnati, so we try to get to at least one game each year. I took this photo of Cam a few years ago…these guys are two of his favorites. They sit in The Jungle section and get a little crazy. 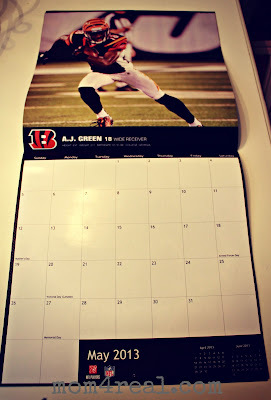 When I got the chance to make a custom calendar at SportsFreak365.com, I knew Cam would love it. He had a great time making it, and picked all of his favorite players. I mean, how cool is that??? Cam hung his calendar in his room, and has already asked if he can make one for basketball…of course!!! SportsFreak365.com offers a wide array of custom sports related gifts and the coolest gear…we will definitely be making and buying some gifts for our favorite Kentucky Wildcat fans! Sweet! My boys would love something like this! My boys (hubby included!) 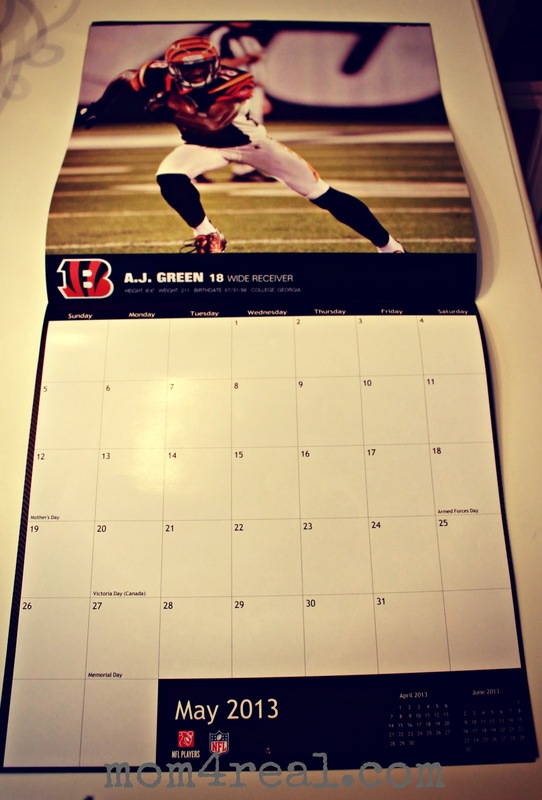 are HUGE sports fans … what a great gift idea! My hubby, brothers and FIL are all sports fans, thanks for sharing! Mike Ditka is a local boy to my hometown! We love football in our house…go Steelers! ; ) Thanks for sharing…..these are perfect items for my guys! I know someone who would LOVE that, thanks Jessica! Awesome – My man friend loves the Oakland Raiders . . . love it!